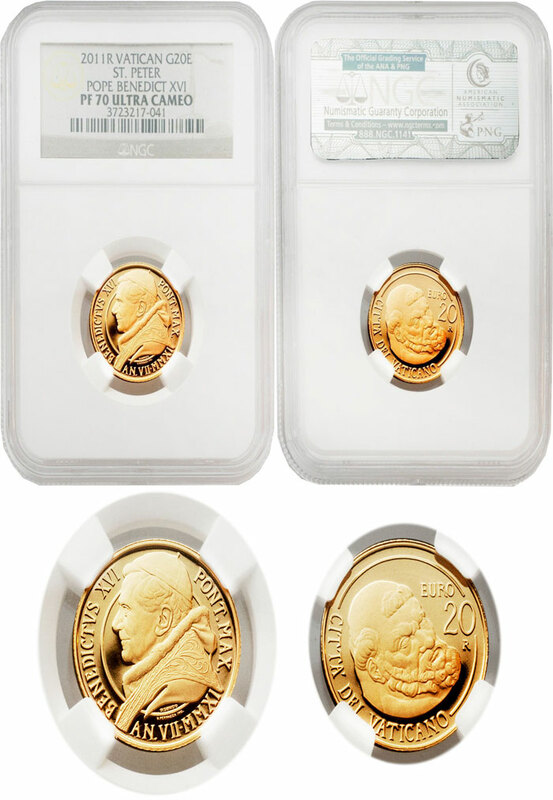 Vatican 20 Euro gold coin on the restoration of the Pauline Chapel. The theme is taken from one of the two frescoes by Michelangelo, the Crucifixion of St. Peter--the 20 euro coin shows a close-up of the apostle's face of suffering. Graded NGC Proof 70 Ultra Cameo.